Shoreline Area News: Did you shop at a small business for Small Business Saturday? Did you shop at a small business for Small Business Saturday? 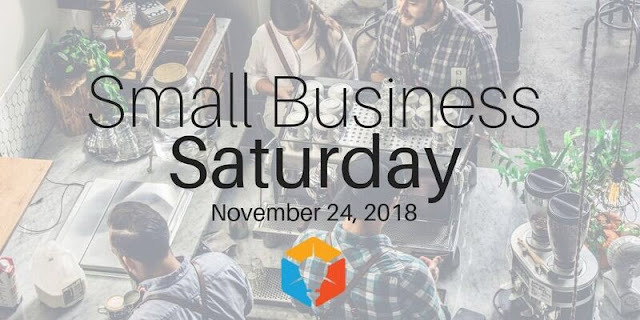 Did you shop at a local Small Business on Saturday? The day after Black Friday has been chosen as the day to remind people that there are a lot of small, local businesses right where they live. You can shop at these businesses any day of the year. Have you explored all the local opportunities? Most of us have regular routes - home to work to usual businesses - and shop online in the middle of the night. Try exploring a neighborhood you don't know well. Get out of the car and look around. We have business districts in many places. North City Business district is one of the oldest. Most of the businesses are on 15th NE from 175th to 180th, with a brewpub and Japanese food south of 175th. Ballinger Village on Ballinger Way has small businesses, a local grocery, a chain massage franchise, and a juice bar. Town Center in Lake Forest Park has a lot of places to eat and some unique small shops. They have an upper level, lower level, and a lower wing - don't miss anything. Sky Nursery on Aurora is hardly small, but it's ours. A local business still owned by the family that started it. There are odd little strip malls all the way down Aurora with places to eat and small businesses. Try pulling in to one some time. Central Market at Shoreline Place has some company both on the upper and lower levels and will have a lot more when Merlone Geier starts development. 4 Corners is the business district to the west, down Richmond Beach road. It sits where four neighborhoods touch - Hillwood, Richmond Highlands, Innis Arden, and Richmond Beach. Most people think it's Richmond Beach but the north side is Hillwood and the south side is Richmond Highlands. Check out the new bakery on the south side. Play tourist in your own neighborhoods!